Patek Philippe purists have taken against the sporty pilot style Travel Time Calatrava extension since it first appeared in 2015, but the watchmaker is winning them over by doing what the company does best: adding refinement and complexity to the family. This year’s Ref. 5520P-001 Alarm Travel Time in platinum has a new self-winding grand complication movement that can display two time zones and has a 24-hour alarm that sounds with a hammer and gong. 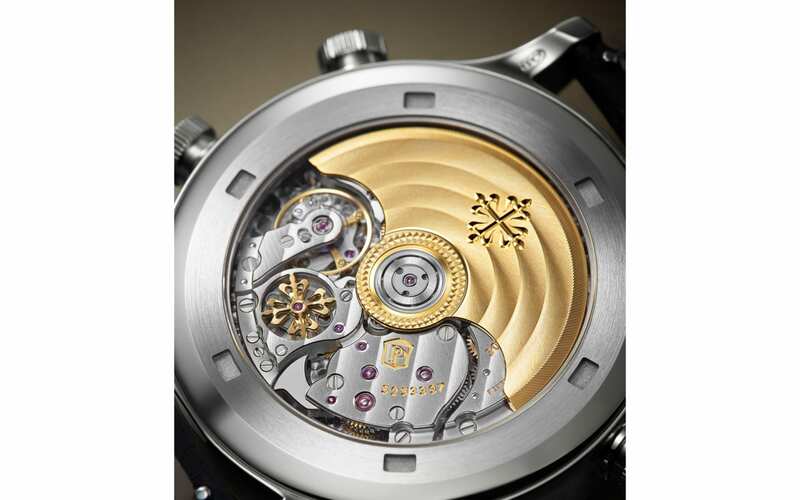 Four patents have been filed for the Caliber AL 30-660 S C FUS movement. The alarm function indications are arranged in the upper half of the dial as a digital display. When the alarm is triggered, a hammer, which can be seen through the crystal case back, strikes a gong that circles the movement. The gong strikes up to 90 times in 40 seconds if it isn’t stopped. The travel time function works with two hour hands. Once is skeletonised and displays the time at home, the other is filled and shows the local time. They are paired with two day/night indicators in small round apertures. 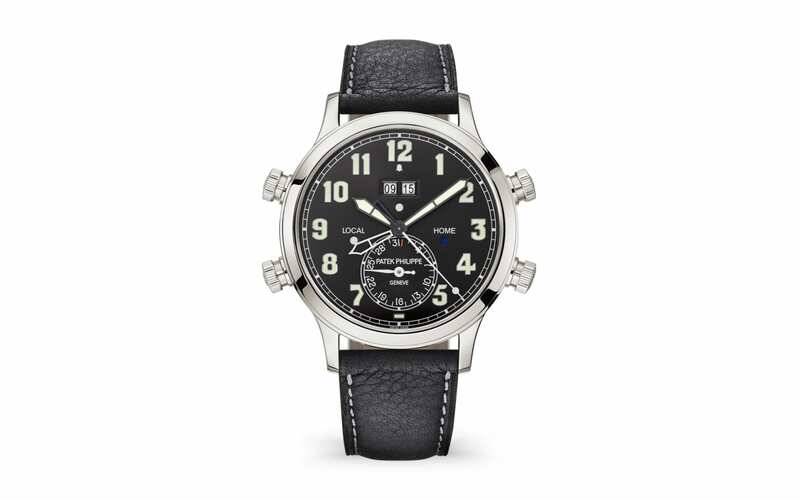 It is made in a 42.2mm x 11.57mm platinum case with a sunburst ebony black dial using large applied white gold Arabic numerals and the broad baton hands. The watch, housing the Caliber AL 30-660 S C FUS Self-winding mechanical movement, is worn on a black calfskin strap.